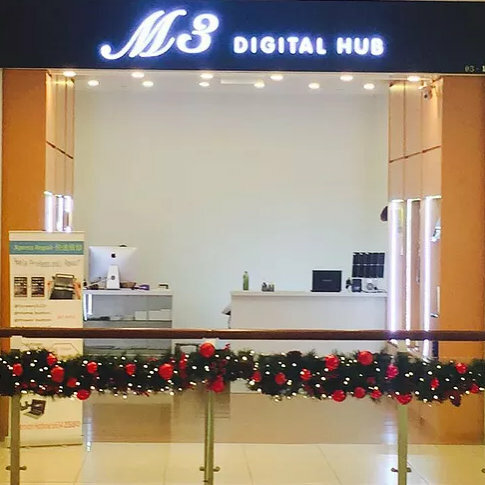 Mobile phone & laptop repair service and mobile accessories shop M3 Digital Hub operates within Singapore’s City Square Mall, at 180 Kitchener Road. Known for high standard of customer service, M3 Digital Hub specializes in mobile phone / tablet & laptop repair services and retailing mobile accessories for Apple and Samsung devices. Overall, the repair and maintenance service covers iPhones, iPads, Samsung devices, Mac computers, as well as PC computers & laptops in general. Additionally, M3 has data recovery services available too. Repairs and maintenance work to the devices is done by technicians with a minimum of three years of experience, ensuring high quality of service and immediate & worry-free repairs. The official Facebook page for M3 Digital Hub store is located at www.facebook.com/M3-Digital-Hub-1852562708343388. M3 Digital Hub’s Facebook page is updated with additional information about the company’s service range, their promotional offers, and more.